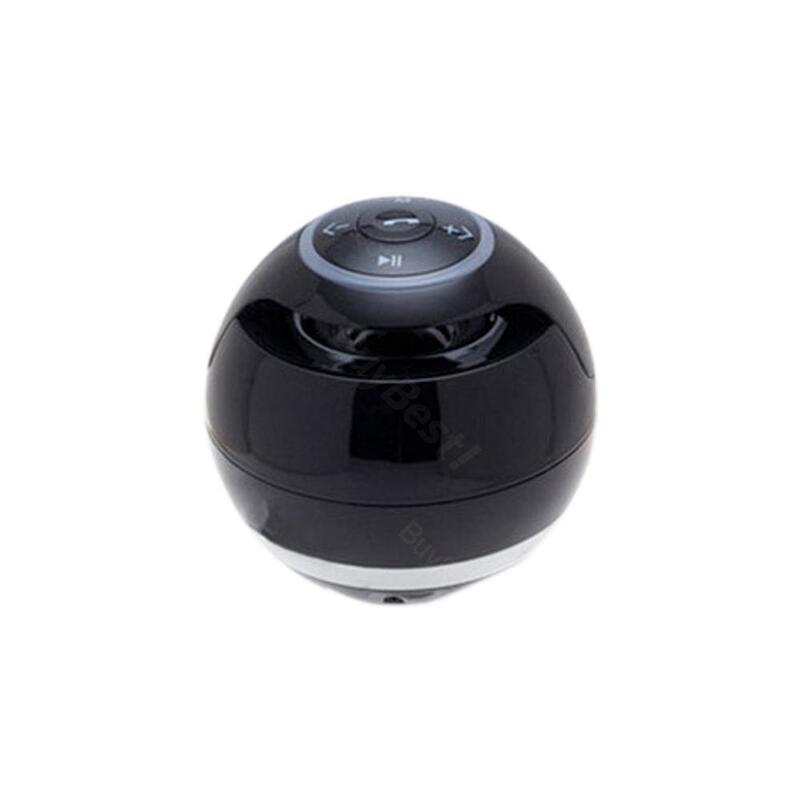 This Ball Style Bluetooth Speaker comes with advanced international Bluetooth chip and circuit design which compatible with most Bluetooth devices. This Ball Style Bluetooth Speaker comes with advanced international Bluetooth chip and circuit design which compatible with most Bluetooth devices. It also comes with FM function with which you can search radio station broadcast automatically. With its Hi-Fi speaker, it will definitely bring you clear and bright sound. • Supports Wireless Music Streaming via Bluetooth V3.0 Technology. • Support Wired Connection with any device with 3.5mm audio out port. • With FM function, you can search radio station broadcast. • Convenient design, you can control the volume of music with the speaker. • With HI-FI speaker, to make sure the clear and bright sound quality. • Support Bluetooth, AUX USB charging function. • It doesn't come with TF card which you need to buy separately. • Order tips: Mini Bluetooth Speaker with Selfie. Sound is fantastic, especially for such a small speaker. Use it with a laptop and an Iphone. Nice sound and great light show. Good battery Life and easy pairing.Great sound quality! I bought this for my daughter. She loves it and uses it all of the time. The sound is good and the light is awesome. Excellent price. Love the Bluetooth. Perfect little toy to get the party started! Everyone should own one of these! Wow! I was very impressed with the quality of the sound that comes from this little speaker! I definitely recommend this speaker!